When I looked out the window at Ker-Feal this morning, God went over the head of all artists in my estimation: He had made a picture of wide fields and luscious hills covered with an immaculate white; and holding the fields and hills together in the composition was a beautiful network of white lines made up of lacy patterns of branches of trees and twigs of bushes. Most people who know of Albert Barnes think of the extraordinary art collection he left in trust for the public, first at his Lower Merion home and then later moved to a modern museum on the Benjamin Franklin Parkway in Philadelphia. The world-class collection includes over 181 Renoirs, 69 Cezannes, 59 Matisses, 46 Picassos and so much more. 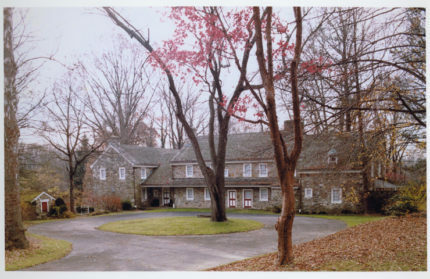 But few know about another residence in Chester County, home to a different type of collection. Here’s a short version of that story. The son of a Philadelphia letter carrier, Albert C. Barnes grew up in the working-class neighborhood of Kensington, and later in a slum area known as “the Neck.” Excelling in academics, he went on to earn a medical degree from the University of Pennsylvania and then traveled to Germany to study chemistry. At 30, he went into business with fellow chemist Herman Hille. Together, they created Argyrol, a silver nitrate compound that was used to treat ophthalmic infections and to prevent newborn infant blindness caused by gonorrhea. Barnes’s fortune grew when he sold the A.C. Barnes Company, which trademarked Argyrol, just three months before the stock market crash of 1929. 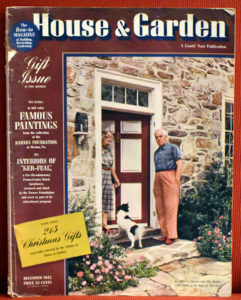 Dr. Barnes used some of the proceeds from the Argyrol sale to amass the priceless art collection he displayed in Merion, Montgomery County, known as The Barnes Foundation. This collection was relocated to the Benjamin Franklin Parkway in Philadelphia in 2012 where it is displayed in the same “wall ensembles”—mixing paintings with metal work and other objects—as Barnes created in Merion. 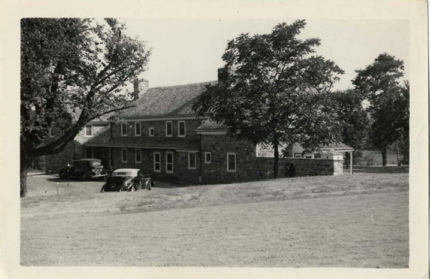 Dr. Barnes and his wife, Laura Leggett Barnes, acquired an 18th-century farmhouse in Chester Springs, Chester County in 1940 and called it “Ker-Feal.” Named after Barnes’s favorite dog, Fidèle de Port Manech, Ker-Feal translates to “Fidèle’s House” in Breton. Dr. Barnes adopted the Brittany spaniel mix on a trip to France. 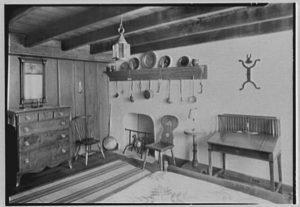 The original fieldstone farmhouse at Ker-Feal was built in 1775 and consists of eight rooms, including the original kitchen. Dr. and Mrs. Barnes expanded the structure with wings on either side, reserving the 18th-century rooms for displaying American decorative arts: Pennsylvania German furniture, elaborate hand-wrought metal work and pottery. Laura Barnes focused her attention on the out-of-doors, developing the landscape design at the 137-acre property. Dr. Barnes was driving Chester County’s winding roads back to Merion from Ker-Feal when he ran a stop sign and was struck and killed by a tractor-trailer. Fidèle, Barnes’s constant companion, was so injured by the crash that he was euthanized. Laura Barnes continued to use the country house until her death in 1966. Ker-Feal was added to the National Register of Historic Places in 2003. Just last year, the 137-acre grounds were placed under conservation easement with Natural Lands, ensuring the property will remain the green and lovely setting that Dr. Barnes cherished. A conservation easement, which protects Ker-Feal, is a legal agreement between a landowner and a land trust—in this case between the Barnes Foundation and Natural Lands—to permanently limit uses of the land in order to protect its conservation values. Conservation easements must provide some public benefits, such as scenic views, water quality, wildlife habitat and historic preservation. Chester County and West Pikeland Township provided support for the Ker-Feal easement. In addition to dense woodlands and sweeping farm fields, Ker-Feal includes other key natural features worthy of protection, including the headwaters of a tributary of Pine Creek, which flows into Pickering Creek. In addition, a section of the 140-mile Horse-Shoe Trail traverses the length of the property. The conservation easement includes provisions for the trail, which runs from Valley Forge National Historical Park to Harrisburg. “As stewards of this property, we are grateful to Natural Lands, Chester County and West Pikeland Township for the opportunity to preserve the open space and rural character of Ker-Feal in perpetuity,” said Thom Collins, executive director and president of the Barnes Foundation. Preservation of the Ker-Feal property complements the legacy of Dr. Albert Barnes and the Barnes Foundation. Natural Lands is dedicated to preserving and nurturing nature’s wonders while creating opportunities for joy and discovery in the outdoors for everyone. As the Greater Philadelphia region’s oldest and largest land conservation organization, Natural Lands has preserved more than 125,000 acres, including 43 nature preserves totaling more than 23,000 acres. Some 2.5 million people live within five miles of land under the organization’s protection. Land for life, nature for all. More at NatLands.org. 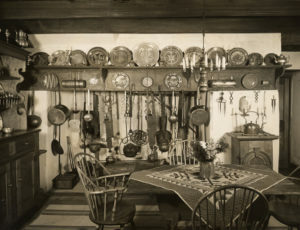 The earliest photos of Dr. and Mrs. Barnes’s country home were most likely taken soon after its purchase in 1940 by one of the Doctor’s secretaries, Virginia Werden, who worked for the Barnes Foundation from 1940 to1944 while attending pre-med night classes at Temple University and the University of Pennsylvania. Dr. Werden’s photos of Ker-Feal document the size and condition of the 18th-century fieldstone farmhouse and grounds before Dr. Barnes hired the architectural firm of Kneedler, Mirick & Zantzinger to create two additions—an expansion necessary to accommodate his growing collection of American decorative art and to provide modern living space. Another set of black and white photos dated September 1941, after the repairs and additions were completed, were stamped by the Jenkintown Camera Shop. Since the negative sleeve bears the name and address of Dr. Werden, who lived in Jenkintown at the time, this set has also been attributed to her. When compared, the two sets of photos offer a “before and after,” a remarkable visual record of Dr. Barnes’s restoration and renovation of Ker-Feal.